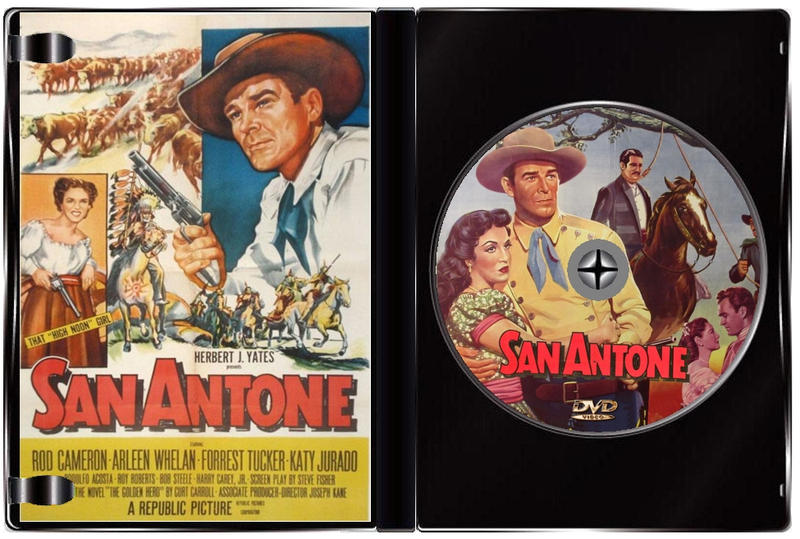 The Civil War breaks out, and rugged cattleman Carl Miller (Rod Cameron) is tasked with taking command of a cattle drive intended to feed the Confederate soldiers. 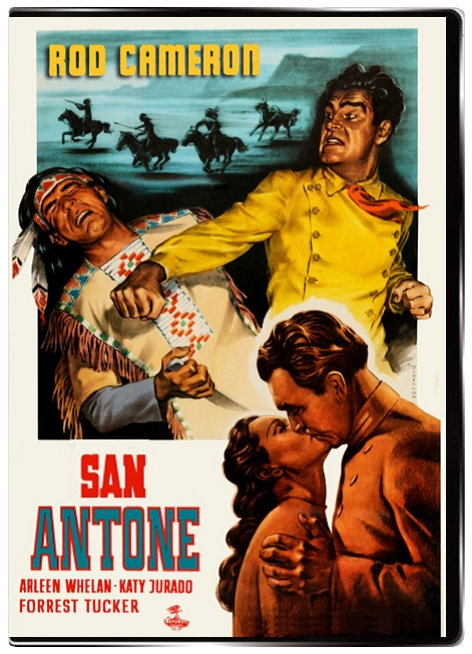 He must work alongside Confederate hot-head and personal rival Lt. Brian Culver (Forrest Tucker), who has already sworn to kill him over a dust-up involving the manipulative and scheming seductress Julia Allerby (Arleen Whelan) - who herself has a rivalry with Miller's girl, the fiery Mistania (Katy Jurado). 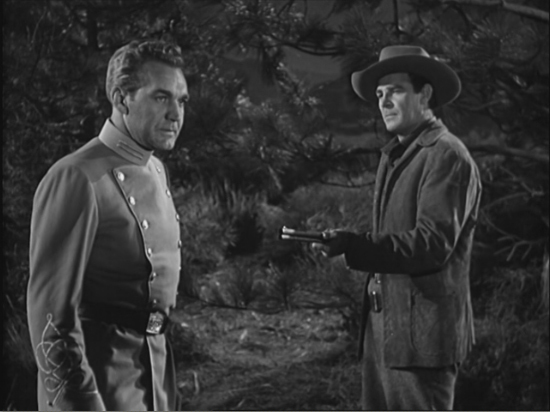 However, when the drive is ambushed by the Union, Culver turns tail and abandons them causing Miller and his wranglers (Bob Steele, Harry Carey Jr. and James Lilburn) to endure harsh imprisonment for the duration of the war. 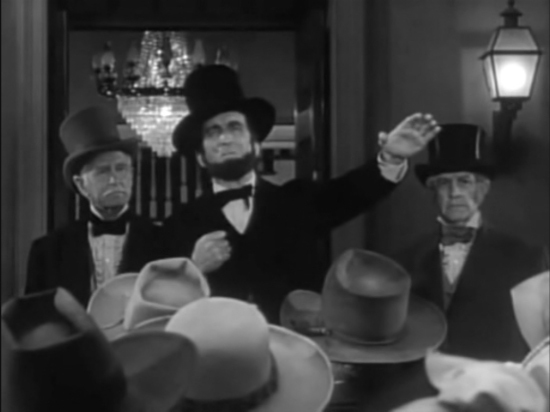 When the war ends, Miller has an ax to grind with Culver and sets out into Mexico to do just that! 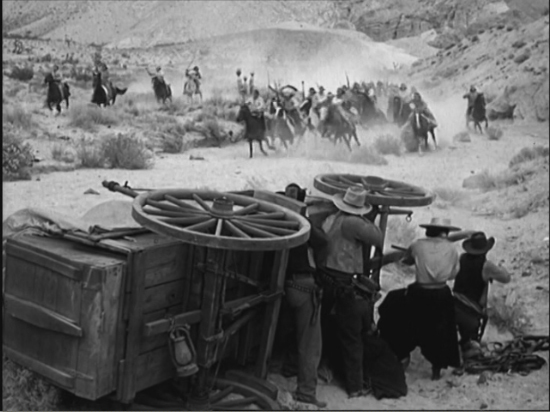 Veteran Western director Joe Kane once again squeezes all he can out of a limited budget, giving us plenty of action in the form of Civil War and French/Mexican battle scenes (some of which is clearly stock footage) and a rousing battle with the Apache. 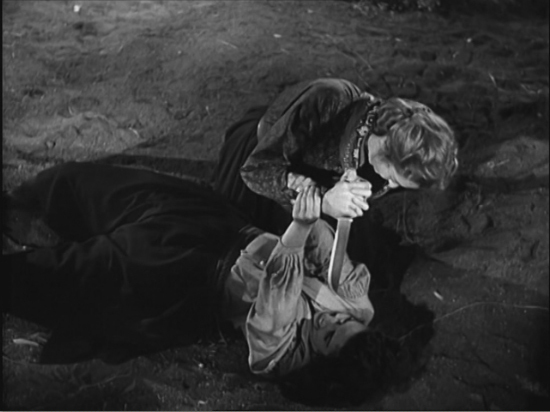 Thrown in is a stirring knife fight between the two female stars and also one between Cameron and Tucker. Cameron is billed as the first star, but Arleen Whelan (Julia) deserves credit here for playing one of the meanest women on screen and has at least as much screen time as Cameron. There is also Rodolfo Acosta, who is surprisingly not playing a villain but instead has an interesting arc that sees him go from servant to Mexican guerilla leader on the side of Juarez. A real highlight are the campfire scenes where the cast sing classic western songs including a nice rendition of "Streets of Laredo."